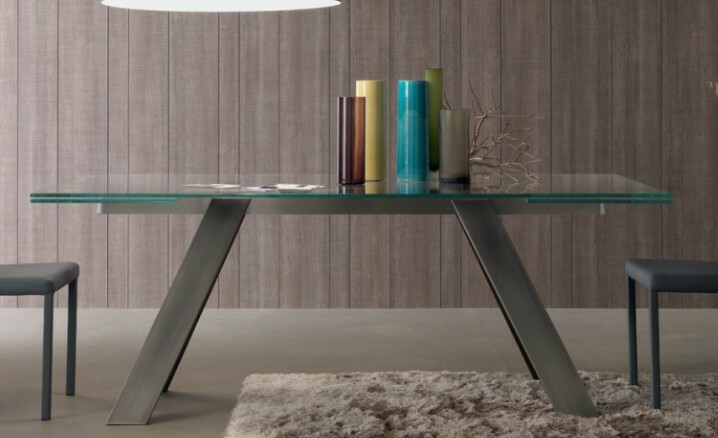 Extendable dining table with legs in bronzed anodized brushed aluminium. Bronzed or silver central frame. 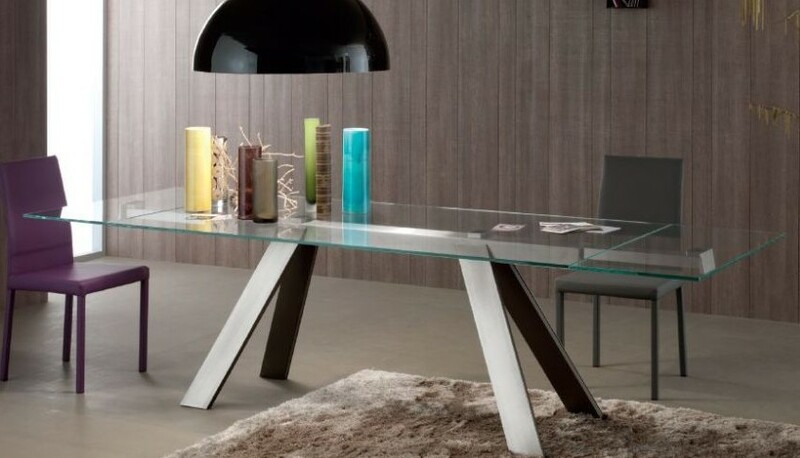 Top in extra clear transparent glass (tempered, 12mm thick) with two extension leaves. 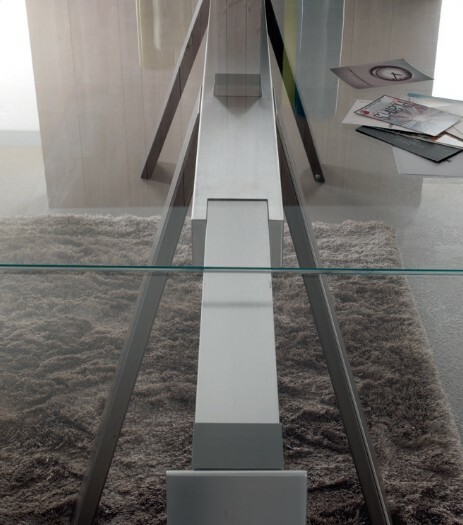 Top and extensions with bevelled edges cut to 45°.